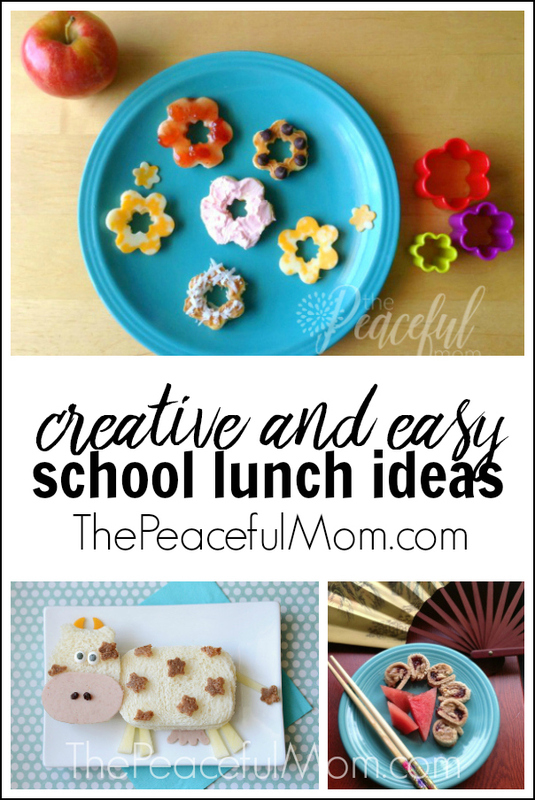 Try these easy and creative school lunch ideas for kids. Want Back-to-School to feel like this? You need the 2018 Mom’s Back to School Planner Bundle. Click HERE to see what’s inside and grab a sweet discount! 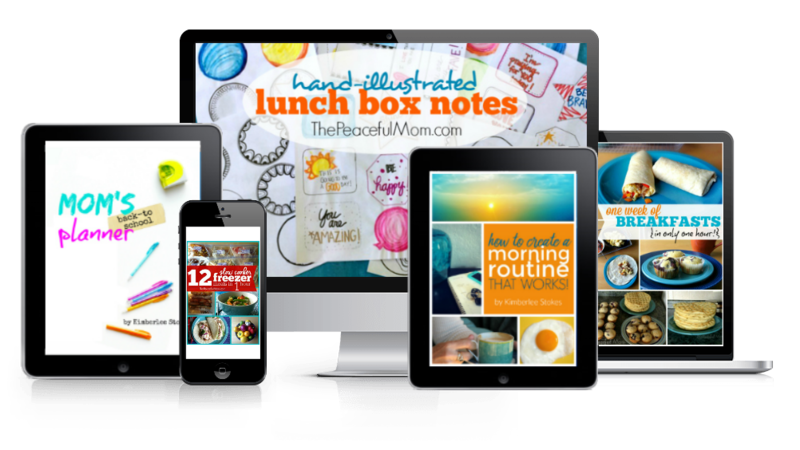 If you’re like most moms, it’s enough stress just making lunch for your kids to take to school, but if you happen to have a little extra energy, try these creative school lunch ideas for your kids this year. Peanut butter and jelly sandwiches don’t have to be boring. 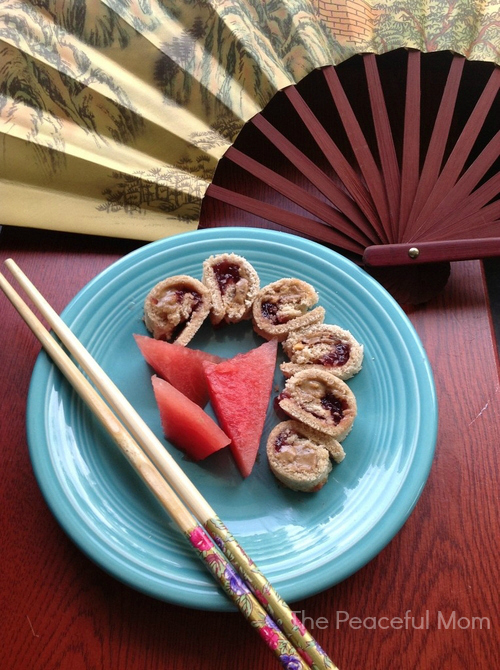 Click HERE for the instructions to make this Asian-inspired lunch. Even my older children see the Lunchables lunch kits at the store and want one because of the cute packaging. I just can’t buy them though, because they are exorbitantly expensive for the amount of food you get, and they’re full of chemicals and overly-processed foods. 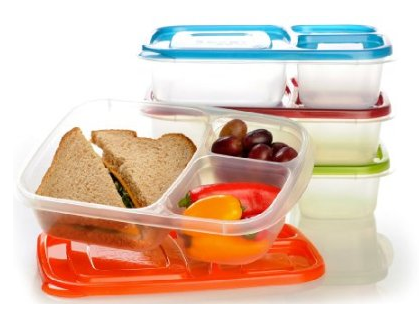 These BPA free reusable lunch kits are an initial investment of $3.48 each ($13.95 total for the set), but they are well worth it in my opinion because they make packing lunches a breeze. You can even pack several ahead of time and store them in the fridge for easy-peasy, stress-free mornings. Click here to purchase (FREE shipping if you purchase 2 sets and you will be set for the year!). 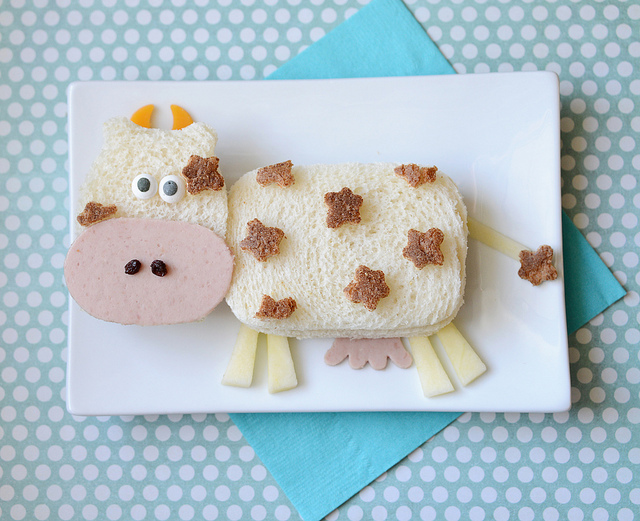 Change up your sandwich routine by adding a wrap to your child’s lunch box. 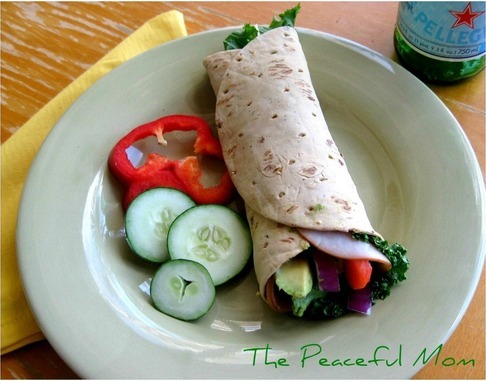 You can find many healthy recipes online like this Turkey Avocado Wrap. Add some fruit and veggies and you’re done. Kids love miniature food. 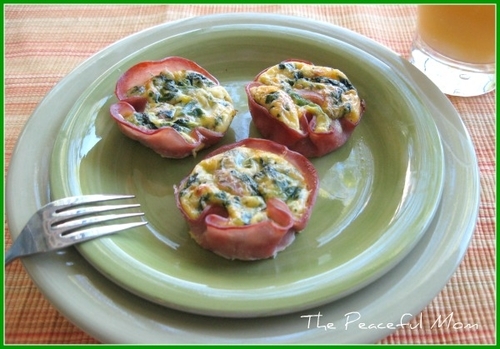 Use a mini muffin tin to create goodies like muffin tin pizzas or these Ham and Egg cups (great for breakfast too). You can also add dried fruit and nuts to mini cupcake liners to add to the lunch box. And remember, you don’t have to over complicate it. 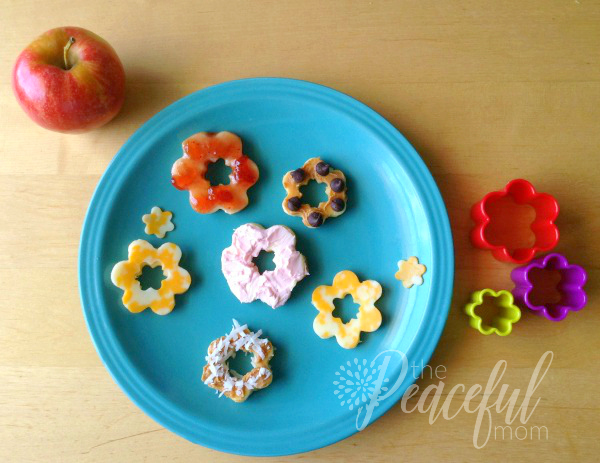 Your kids will probably be happy with a few basic creative additions to their lunches. 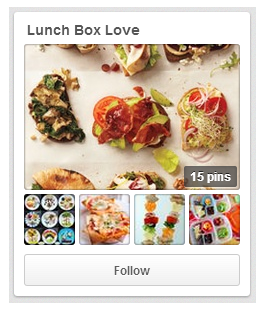 You can even make Friday a special lunch day with food art in the lunch box. Give your kids a little extra love by adding a note to their lunch box. 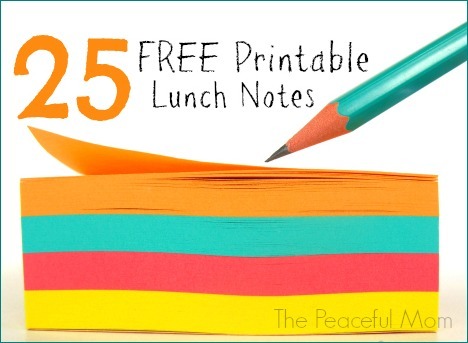 Check out my list of 25 FREE Printable Lunchbox Notes HERE. You’ll find enough notes to last the remainder of the school year! 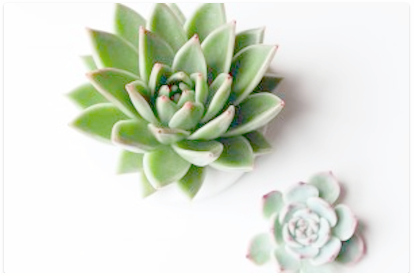 Join our simplifying, organizing, life-changing community! 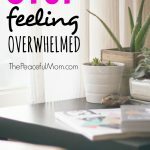 Click here to join The Peaceful Mom Community! 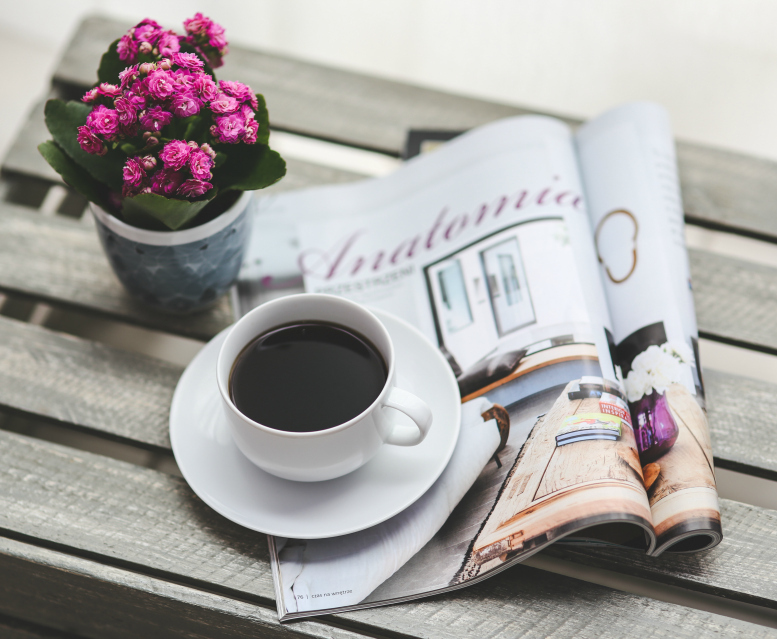 Monthly Gifts – because who doesn’t love a surprise? Hey! 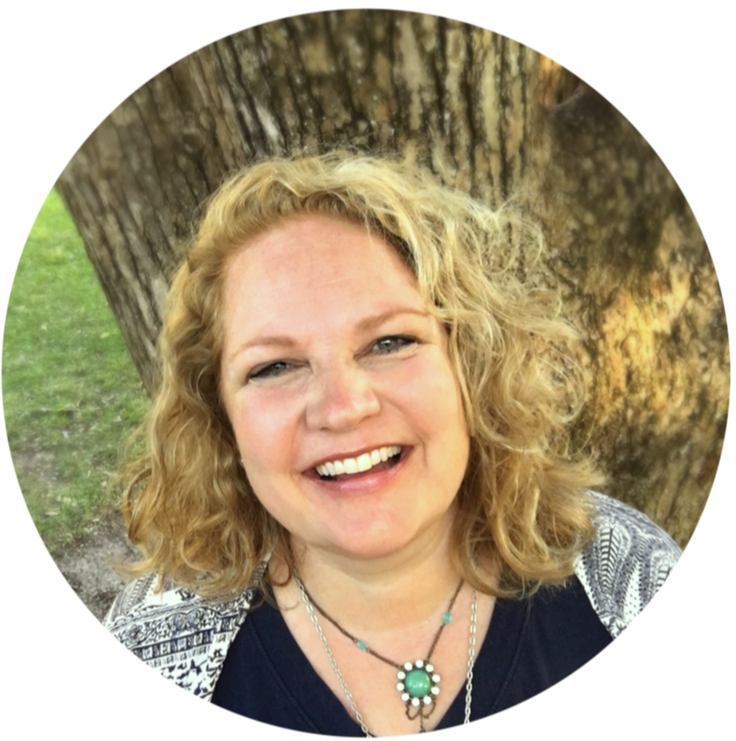 I'm Kimberlee and I help busy women just like YOU make space for what matters . Get started HERE. Please note that ads are placed by a third party ad agency and are NOT specifically endorsed by The Peaceful Mom. 31 Day Decluttering Challenge – Join Us!